Paolo Maldini has explained why – at the moment – he is unable to accept Marco Fassone’s offer to return as a technical director (‘what does this role mean?’) and insisted on meeting the next Chinese owners before finally deciding (‘I would just like to know from them what they intend to do for the good of Milan’). 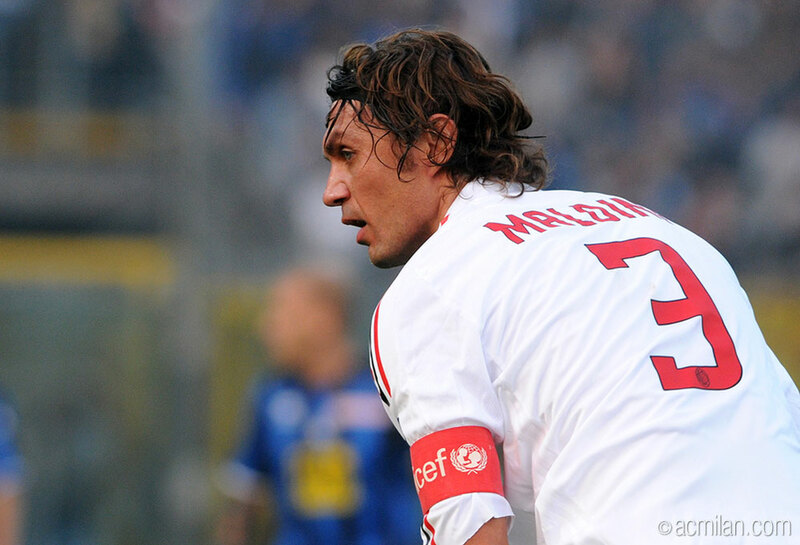 Yesterday we learned that Paolo Maldini met Marco Fassone and the future CEO offered the legendary captain a role in the new management that he’s been entrusted by the Chinese owners to construct. 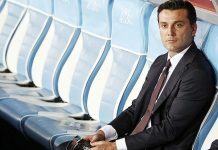 Maldini was offered the role of the Technical Director and after the first rush of optimism, a lot of reports suggested that Paolo is set to decline the offer as he wishes to have more power and autonomy if he is to come back to the club after 7 years. There were even rumours suggesting the two are in disagreement over money and that he has already said ‘no’ to Fassone, but Maldini has made everything perfectly clear in his interview with La Gazzetta dello Sport’s G.B. Olivero. “I’ve chosen La Gazzetta to clarify things, this is not a message of anger or resentment, but of clarity,” Maldini said, as written on this morning’s edition of the pink newspaper that is based in Milano. “The meetings with the new management? First of all, I’d like to stress that I respect Fassone who has a delicate task in hand. We met four times in one month [September], he told me that I’m the first and only choice and explained why: my life and story are the basis for their decision. “Everything I’ve done for Milan has an important weight. However, just of respect for my story, if I accept to enter in Milan I will do it only by following my ideals. I deeply love this club and I can help just by listening to my heart and my head. For the good of Milan, I have to be myself. “Problems that emerged over the course of the four meetings? I can’t assume certain responsibilities and put myself out there without identifying the buyers. I would like to know how the new owners, share the project, talk about strategies, listen to their objectives and guidelines. “It seems to me like the minimum. Who else I met besides Fassone? 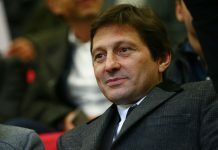 David [Han Li, who gave an interview to Gazzetta yesterday], the fund’s Vice President, the only one who speaks English. 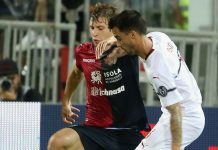 But it was a 10-minute chat, he told me that he strongly wants me at Milan but we did not go further. “If I presented my conditions? I don’t know if I’ll call them conditions but they were looking for me and so it’s right that I’ve asked for things. There are two obvious obstacles: the lack of direct responsibility in the technical area and the lack of clarity on the role. “I’d be a technical director? Yes, but what does it mean? They’ve proposed a structure with Fassone as CEO, Mirabelli the director of sport and me the technical director. But the point is: what will I do? If me and Mirabelli manage the sporting part, what if we have a difference in views, then who decides? I can’t have a role in half with another person. It seems inevitable to face this problem now. “I won’t judge those I don’t know, but I demand a shared sporting project that currently does not exist. So I asked to know the buyers and be told directly from them what they expect from me, to see that they share their project with me. If we didn’t discuss the issue of the role in the four meetings? I just know that with me there would also be Fassone and Massimiliano Mirabelli. “But, at present, the roles are likely to overlap on many things. Too many things. I was told that the goal is to bring Milan among the top five teams in the world. But that means working 24 hours a day for a long time. I’m willing to do it but I must know well how things stand. “A dead line? No, in the coming days it will be defined one way or another. I’m in no hurry and I really don’t see the case of being given the vastness of the project. I would just like to know from them [the buyers] what they intend to do for the good of Milan. Then I’ll put my myself, the credibility, the attachment to the colors, the time, the sharing of a project, the work. 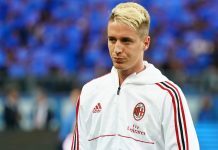 “It is said that I want to step over Fassone [it was suggested that Maldini wants himself in a role similar to what Galliani has at Milan or Leonardo had at PSG]? It’s not true. Fassone is absolutely credible, I understand that he has ‘carte blanche’ [permission to do something in any way you choose to do it]. He was very kind with me and said really nice things. 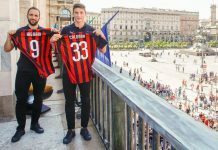 But it’s normal that I want to meet the new owners, to hear if the buyers are identified with the Rossoneri colors and with me is crucial. “People said there are economic differences? It’s not true. We never talked about money. How can we quantify it before they tell me first what will be my role? In the four meetings we never passed the first hurdle. They haven’t implemented my request? It seems strange but it’s true. I repeat: I need to be shared with the project and hear from them what they want from me. “The work would be complicated by fascinating. I would leave the quiet life of these last years to get back in the game so I have to know everything – from the buyers. What will happen? You must ask them. So far there have been so many rumours and little clarify. I won’t say it to your face but it’s possible. But only with defined roles and with the sharing of the project. As was the case of the great Milan of Berlusconi. I don’t need to answer to them, but they need to answer me. “I realize that I can seem like a complicated man, but this character and my approach to life have led me to be who I am. And then I am obliged to be so: This is Milan. 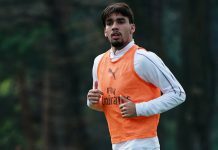 It is no joke,” concluded Maldini. Paolo also released a statement to Sky Italia last night, saying similar things: “My name is mentioned a bit too often, sometimes with false or unverifiable stories. 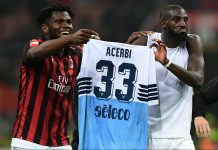 It’s true I met Fassone and Mirabelli at my home, I was told the objective was to take Milan back to being one of the top clubs in the world within five years. 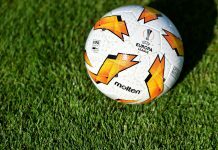 My history as a man and a Milan player forces me to understand deep down the ideas of the new owners, their projects and how they are thinking of acting. “I need to hear it directly from them. If I am to put my face, heart and passion into this, working 24 hours a day, 365 days a year, then I want to do it for a truly serious project. I am ready to transform my life. It is not me who sought out Milan, but them who came to me, so I consider it only right that I get the chance to speak to the new owners before making a final decision. “This is an issue of principle and of justice. I read some reports I made elevated financial requests: I have made no requests at all in that sense. I read that I set certain conditions: I merely pointed out that if I was to be made technical director, it would be right that I make my own decisions and that includes making my own autonomous mistakes. That does not mean by-passing Fassone’s role. “It has been said I lack experience. 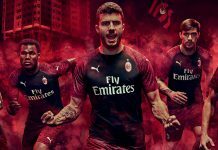 I feel the need to note that I have experience on a technical level, having spent a lifetime with the Milan jersey, which I continue to consider not a second skin, but my one and only skin. I want it to be clear, so we can avoid any type of misunderstanding: any decision I make will be solely for the good of Milan. 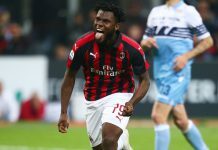 If at the end of the day I should be a part of the new club, it’ll mean that contact with the owners – obviously shared with Fassone – are continual and constructive. Hearing from them every now and then would not be useful. 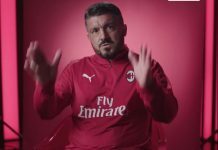 It remains to be seen if Maldini, with his characteristic honesty and to-the-point attitude, will get to meet with the owners whose names will only be publicly revealed after the ‘closing’ in November. Yea., Inter have Zanetti as their VP,what about Juve and Nedved? Am sure the moment Totti and Buffon retires,they would be given a more deservedly role. But in Milan,we former Blues and Blacks as our CEO and sporting director! Maybe the Chinese aren’t that serious as they say.. Maldini is bigger than the Technical Director role. He is right, strategic plans have to be in line with everyone. If this is not the case, milan will have serious problems. You are wise,and i support your idea to hear form them (chinese) direct and to ensure us (fans) that the buy is to be real. I have even more respect for him than I had before (if it’s even possible). I really like and understand his approach. Being sure where are you getting in, especially knowing his feelings for this club. Whatever you deside, mister, I will respect that. Well said, Paolo deserved all he ask for. There has to be clarity before u take up a role. I don’t think this is to much to ask for. Beside it took him decades to build a legacy and he is ready to work with Milan once again provided the project is for the good of Milan. The new owners should be ready to meet is demand going forward. The owners needs to understand what Paolo Maldini stands for: He his a man every Milan fan look up to, there is no better candidate than him. I think this is the deciding moment to see if the buyers are truly serious with Milan. If they take Maldini on his request then it is on, we will be going places. One think i so much feel is that the reason galliani don’t give a clear view if he will work with chinese, may be he want to know if p maldini will join:so he can adjust because he is the reasons some of our legend anger and dos’t want return. Maldini is not given the kind of respect he deserved, honesyly i think a person who won 7 Series A titles and 5 European titles deserves more than a Technical Director. Wt all due respect Totti has not accumulated such at Roma and am sure he would be given a better post after his retirement. I expected those thumpdowns. But you guys forget that even under Berlusconi he wasnt there and the Chinese try to do that and you guys are busy blaming them. 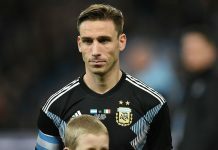 Looks like anyone who goes against the club'[s adminstration is blamed. Under Berlusconi I dont think he cld have got any better position better than tt. He is a legend but he should know that each level in life requires you to start at a certain stage. 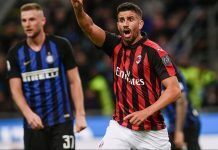 Why do you think Milan is in the position it is now? Because it is run without direction, and it is what Maldini has been questioning that is why he is on bad terms with Galliani. And what he wants is a position where he can make his own decisions not having to share decisions with someone because there is bound to be disagreement with what they are offering. Somehow, i agree with you. As much as i respect Maldini, i think he’s executing too much bargaining power on this one. 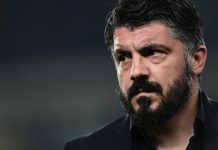 If he loves the club, fans and the red & black jersey so much, he should humbly accept the role of the Technical director and work up his way from there. Besides Fassone looks like a man on a journey…don’t think he will remain the CEO for too long. So maybe one day he too could be CEO. I concur, mate. If he rushes like everybody is rushing, two things are certain: Failure and more confusion, the kind Balotelli was talking about. 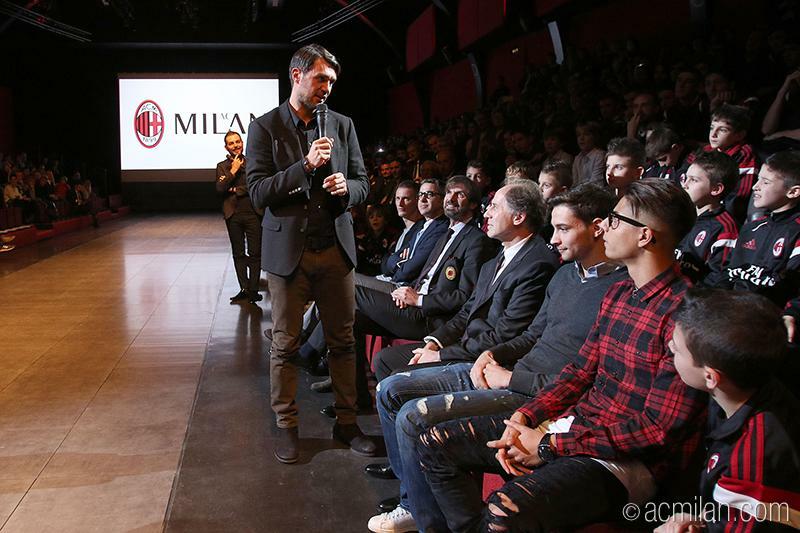 Maldini has stood out to challenge the new board on their promises, plan and strategy. If he does not, who will? If not there is a clause ooooo. His reputation and resume? Nobody doubts that. Picking his own job? Oh please! 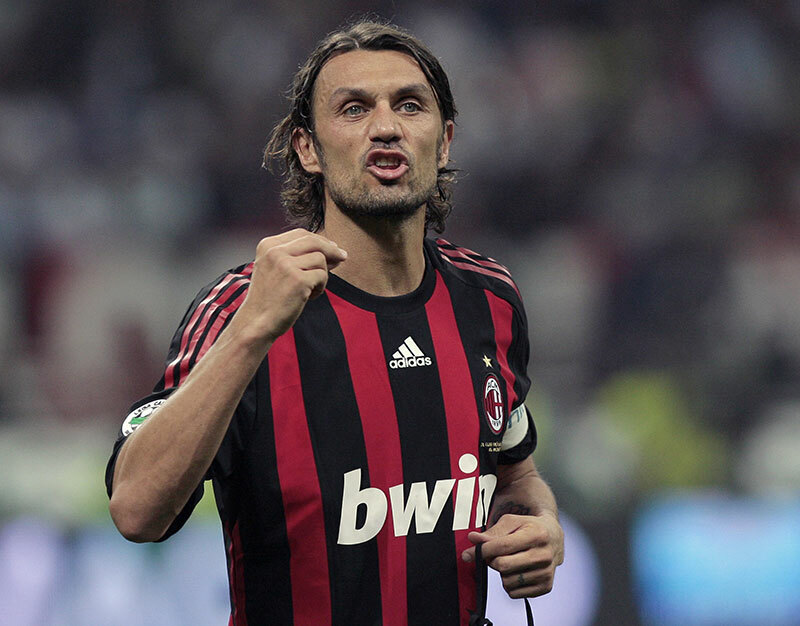 If buyer couldn’t give what legend want, it will make sense, that they not seriously want to bring Milan to the top…. Dude did you read the story??? He’s not asking for m ore money. He does not want to answer to Mirabelli. Notice what Honda said? Bet you are one of them. @MAZ, may God bless u for me. even a non milanista thinks more reasonable than some so-called milanisti. Milan will be great again.Lets support the team.God will help us. Fassone… not satisfied, but ok.